Our homes are our shelters. While it’s nice to think that we are always safe in them, embracing this invincibility complex can be dangerous. Property damage can happen in an instant. Severe rains can cause flooding, clogged drains and structural damage to your home. Fires can happen just as quickly, leaving you scrambling to find a solution. From water damage to fire damage, and everything in between, DriForce Property Restoration can help restore your home to its original condition after disaster strikes. DriForce has been handling commercial and residential restoration claims across the Metro Detroit area since 2009. We are even certified by the Institute of Inspection Cleaning and Restoration. Our years of experience have prepared us for even the most serious instances of property damage. When you choose DriForce Property Restoration, you are getting more than just home remodeling professionals, you are getting comprehensive service from restoration experts that genuinely care. We believe in collaborating with our customers to understand their concerns down to the minutest detail. In terms of risk, West Bloomfield, Michigan is relatively safe from the most extreme instances of water damage. 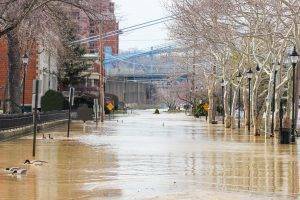 Instead, we have learned to expect calls for basement flooding, saturated walls from leaking pipes and other types of weather damage that are incurred after substantial storms. Whatever your case may be, you will be greeted with a prompt response and opportunity to set up a consultation. At DriForce Property Restoration, our job does not end after the water is cleared. We rely on state-of-the-art water damage equipment to ensure that our water damage remediation will be completed correctly the first time around. In addition to standard water removal techniques, our property restoration experts utilize deodorization products, disinfectants and dehumidification devices to combat the growth and spreading of harmful bacteria and mold. One of the most common requests we receive after an initial water damage claim is for mold removal. After the water has subsided in your home, issues can continue to lurk behind walls and in the floor boards. Mold spores thrive in conditions where there is moisture, humidity, excess dust or water damage. Mold can be harmful to both the structure of your home, as well as your own body and health. DriForce’s mold removal experts will inspect your property for traces of spores and treat them accordingly. In some cases, walls, baseboards, carpets and even whole panels of flooring must be removed to remediate the mold damage. Fires can happen in the blink of an eye. An electrical spark could ignite flammable material and the next thing you know your house in completely engulfed in flames. The same could happen with cooking mishaps, unattended candles and more. Whatever your reason is for enlisting DriForce Property Restoration’s fire damage restoration services, you can rest assured knowing that our property damage crew will not stop until the job is completely done. DriForce experts will target soot accumulation, combat smoke odor and remove any blockages in your home’s ventilation. 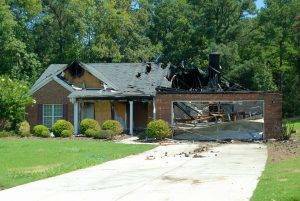 Our fire damage restoration services also include carpet and appliance removal. In addition to our standard commercial and residential property damage restoration services, DriForce also offers asbestos removal. Extreme caution must be exercised when handling asbestos. Our team will arrive at the designated location with the necessary tools and safety equipment and begin the asbestos removal process. 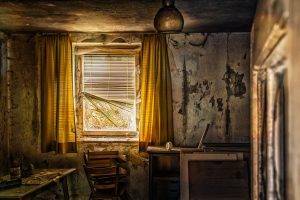 Unlike other property damage situations, asbestos removal may take more time as a thorough inspection must take place before and after removal to ensure that all traces of the cancer-causing agent have been removed. If your West Bloomfield home has been struck by disaster, let us help! Call DriForce Property Restoration at (877) 638-0081 or fill out our free online quote form to start your property restoration today.